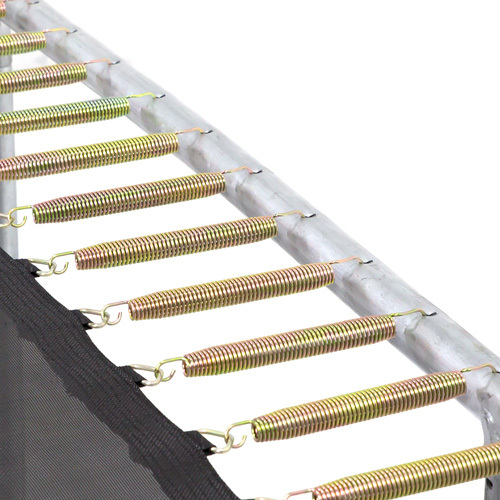 Our rectangle trampoline frames are engineered to last many years and go through a thorough double hot dipped galvanising process which completely protects the frame from rust and corrosion inside and out. Without quality galvanising, rust and corrosion can build up, create weak spots and ultimately cause a breakage or failure. 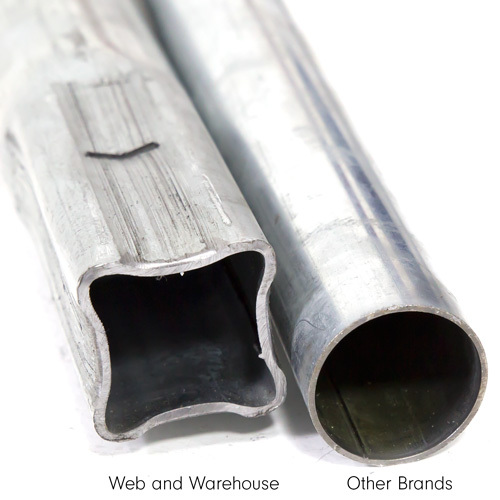 The heavy-duty framework connects with its solid square joiners, the tubing itself is round 50x2.5mm steel which is 25% stronger than most other brands. All four corners of the frame are reinforced with a cross-brace that increases rigidity and overall strength of the frame for longer life. Our unique power curve frame ensures the jumping mat is consistantly tenstioned from one end to the other. 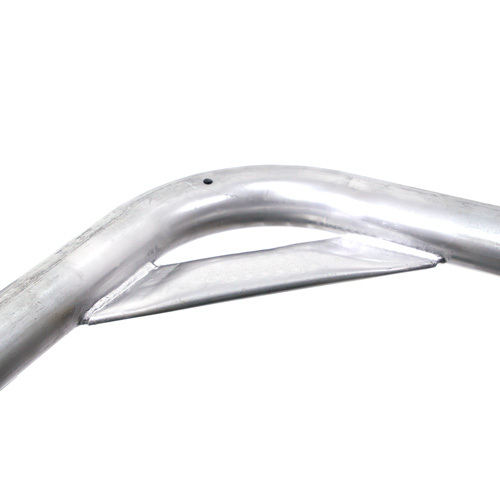 Our springs are extra long with tapered ends ensuring a smooth and responsive bounce. The springs are specially coated with a beautiful gold finish that protects them from corrosion and breakages.